After trawling through the solutions on here I have put together a frankenstien of a few different solutions that actually works in both HTML5 and Flash (well it does on our system). Thanks to Knut Jackowski for pointing out an error in the code! This code tests if html5 is being used (thanks to Matthew Bibby for the great example). If it is then the first block runs ... if not then the second block runs. I hope people find this useful, this may have been posted elsewhere, but I couldn't find it! It's worth noting that this only pulls the first name and you have to create a newName text variable in Storyline! I am still struggling with this, but perhaps because I know nothing about Java and may be missing an step that is second-nature to the experts. ... what else do I need to do? I created a Text Box that I called NewName and has the text NewName in it ... not sure what else I need to here. Do I need another trigger or something? All that showed up was the text of NewName on the screen when running through the LMS (SuccessFactors). Other than that, I have only tested this in Moodle and have never used SuccessFactors! You mention "leaving the variable empty" but what variable do I need to make? I have attached the file, it is probably something really simple that somebody can help with? It may perhaps be that SuccessFactors doesn't pass this information through, however just exploring all options! Hit OK on all dialogue boxes. I've attached a project that should work below .. This code saved me loads of time! I couldn't get it to work though with IE 11 / Flash. The code works in this scenario if I remove the if-then-else block that checks for HTML 5; findLMSAPI() is always executed regardless which player is running. Is there any reason why findLMSAPI() should only be called when using the HTML 5 player? I'm not sure. It worked great in IE 11 with my testing. It may have something to do with the way the SCORM wrapper works in Moodle (which is the only LMS I have managed to test in). I believe with HTML 5 it runs in an iframe so the script needs to hunt for the LMSAPI by hopping up from the frame to the LMS, whereas the Flash is embedded directly and displays in the LMS page (not as a frame), but this is just a guess from my observations! Thanks for the info and, again, for the code! 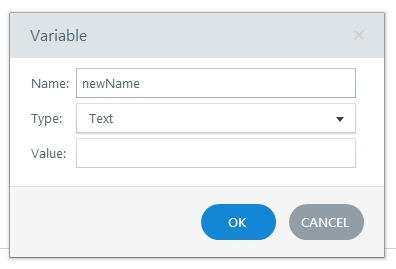 Curious how you could modify this to include full name... That could be useful in creating a certificate screen with name, date, title of the training, etc. Use the code below and store the variable in certName. Thanks very much for the quick reply. I kind of guessed it would be easy (for you) but not being a JS coder I wouldn't have a clue. Looking forward to giving this a try. No worries Brett! I just cut and hack until it kinda works! Hello, I am trying to execute the above code to retrieve the registered student names in our Blackboard LMS. This is the scenario: Imagine a student logs in to his/her LMS and is going through this training course after which he/she will print out a certificate of completion that will include his/her registered name in the LMS. The module is created in Storyline 360. I have already created a certificate. 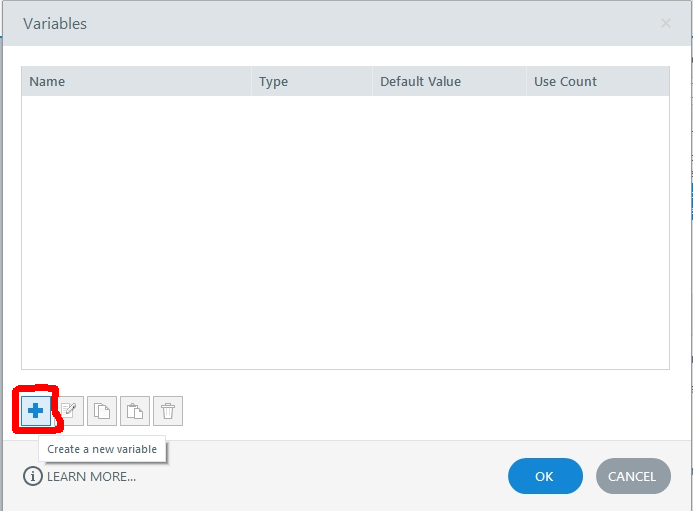 How do I retrieve the name from the LMS to print on the certificate. Thanks for your help! Create new variables exactly as described. On your certificate slide enter the variable references for the names where you want them to appear. The variable references are the variable names enclosed with percent signs, e.g., %newName% or %certName%. If you're trying to get a variable out of Storyline and into another application to create your certificate, that is an entirely different scenario that I have not done before; maybe someone else in the community can help. I have created a certificate inside Storyline. Please see the attached .Story file. Now what I'm struggling with is: How will I be able to print this certificate on course completion? Please help! I have spent several hours over the past days to get this done and it's not working for me yet. Thanks. It's not beautiful but should print the window for you. I did as suggested by Brett but when the certificate prints, it prints the button label as well. I'm still trying to figure out how to print my certificate of completion. Somebody should please help me! Thanks. 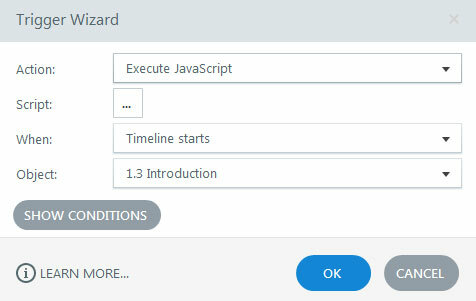 What about having a trigger When timeline starts show Layer 1, and have the Print button on Layer 1. See if the certificate prints the layers as well or just the base. 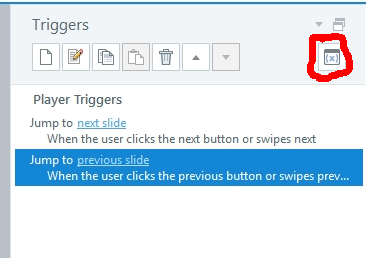 Alternatively see if you can put two triggers on the button of Hide button and Print ... perhaps see how that goes. Thanks for your prompt response to my request. I created a layer and inserted a button labelled 'print certificate' When the certificate prints it prints the button as well. Please see the attached. You will notice that the print shows all the unnecessary fields such as the menu items on the left and it cuts off part of the top. There was no attachment, however as a "best case suggestion" remove the Print button and just have a trigger to Print when the timeline starts. This at least would get rid of the Print button being on your certificate. There is a Print Result option when I added a trigger. This trigger only prints the result and not the certificate. "I can see where the issue is :-) First step is to create a new var..."
"Hi Kayode, There are lots of options for printing certificates in ..."
"Is your certificate one of the slides in Storyline or did you creat..."